I was literally, just today, lamenting that we haven’t seen Hulk onscreen since The Avengers and won’t see him again until Avengers 2: Age of Ultron. OK – sounds kind of complicated. 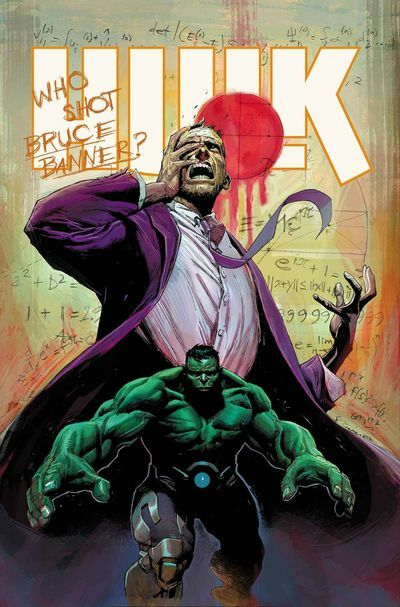 Not a big fan of the “Who shot Bruce Banner” mystery posed on the cover. This has potential to be a disaster of Red Hulk proportions. But, since his cousin Jennifer is making good in her She-Hulk title right now, I’ll give Bruce a chance. Ms. Marvel #3. By: C. Willow Wilson, Adrian Alphona, Jamie McKelvie. Marvel Comics. I just linked to the same post in my She-Hulk plug above, but it you didn’t click, here’s my thoughts on Ms. Marvel. 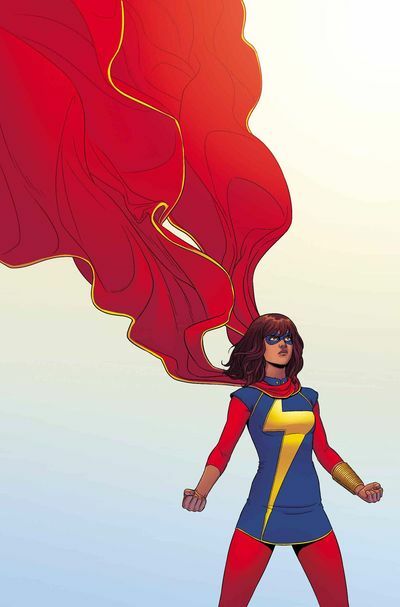 C. Willow Wilson is knocking the cover off the ball with this tale of teenager Kamala Khan. If you’ve not been reading this book, catch up. Knights Of The Dinner Table #207. By: Jolly Blackburn. Kenzer and Co. I haven’t read this book since around issue #100. This is the week I catch up on the Knights. 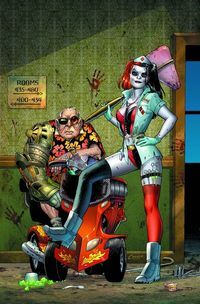 This is the week I officially give up on Harley Quinn. 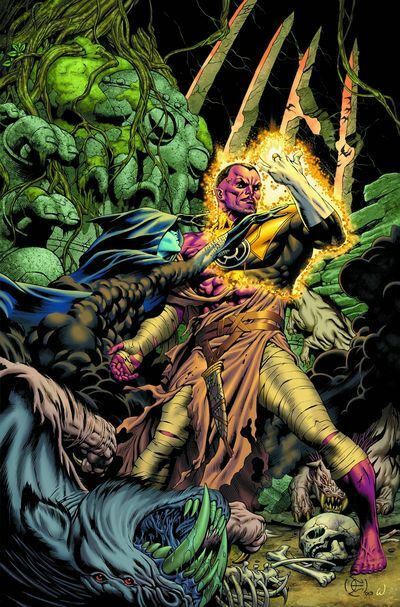 Maybe it’s time to check out a different DC villain who is getting a new ongoing title. Harley Quinn… you are dead to me. Rover Red Charlie #5. By: Garth Ennis, Michael DiPascale. 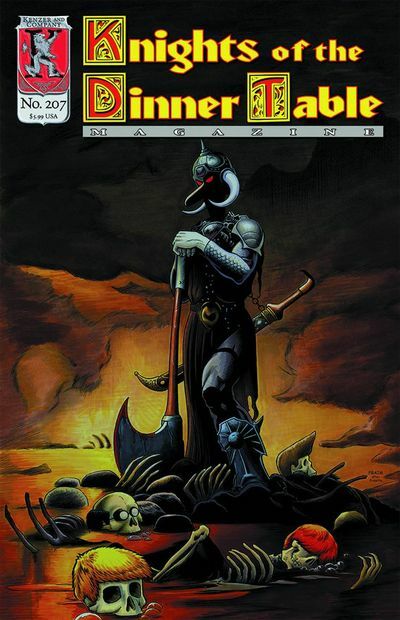 Avatar Press. The art is beautiful. The story has had many touching moments and terrible revelations. Startlingly, for a Garth Ennis book, there has been only one flat-out “gross for the sake of gross” immature moment. There may be more to come, but I’m hooked through the end of this story. What follows is the solicit. Bald-faced exaggerations are italicized. The honest-to-goodness truth (as I see it) is in bold. “Long gone are the days of treats and dog parks. 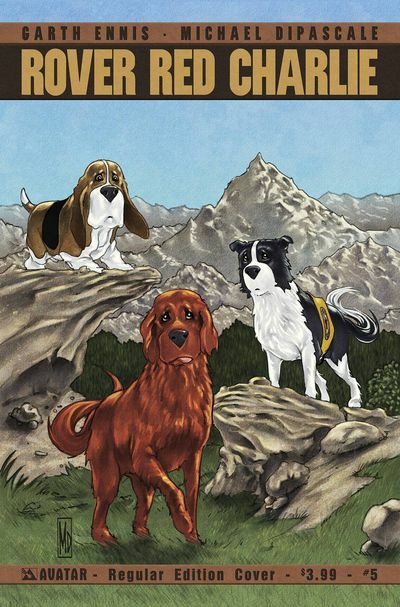 Rover, Red, and Charlie near the end of their canine odyssey as they discover the trail to their final destiny. As the feeders’ world collapses around them, these three best friends continue to search for the new path in this post-apocalyptic world. And with the very forces of nature seemingly against them, the trio must find a way to the Big Splash. I have loved this book so far and look forward to the conclusion of this tale. That’s why Rover Red Charlie #5 is my Casual Comics Hot Pick of the Week. Posted on April 15, 2014, in Comic Previews, Comic Previews and Picks and tagged Best New Comics, Comic Book Picks, Comic Previews, Hot Comics. Bookmark the permalink. Leave a comment.